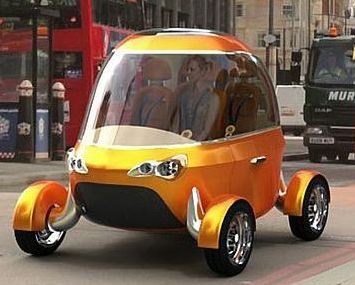 Designer Paul Paylist presented an interesting concept of electric taxis in London, called Opti. The designer hopes that it will present a stylish taxi on the roads of London in 2025. The car will be equipped with a satellite navigation system, laser parking sensors, in general will be good “stuffed” and would be an ideal vehicle for carrying passengers. Electro-taxis will be equipped with Opti lithium-ion battery and a small electric motor. On a single charge car can go 50 miles (80 km). On-board panel with touch-screen easier handling and control of all vehicle systems. In the car will be established a special bank terminal with the help of which passengers could pay for the trip by credit card.